Late Entries on a space available basis and $35 late fee. Group: "Arizona Cup Archery Association Group"
May 4, 2007 Video wrap-up of the 2007 AAE Arizona Cup on www.azarcheryvideo.com Thanks Barbara for a job well done. Thank you for taking part in the 2007 AAE Arizona Cup. We are honored to have so many positive comments about the tournament. We seek your input and welcome comments and strategies to improve the Cup. Please join me in thanking the volunteers that take their personal time to help offer the archers a quality event. We thank Sergio Font, COPARCO Technical Delegate and Chairman of Judges along with the entire judging crew for providing the attention and effort required of a World Ranking Tournament. Finally, our deepest gratitude is extended to the 2007 tournament title sponsor, AAE Cavalier USA and the Fisher and Tone families. Their generous support of time, effort and funding allowed the tournament to continue to improve. We will post next year’s date as soon as it is determined. Photos soon, until then....... please visit www.azarcheryvideo.com for video and full coverage of the Gold Medal Matches. Dress Code Reminder: the "closed-toe" shoe rule will be in affect during the competition. AAE Arizona Cup opens tomorrow, April 11 at 12:00 noon with check-in, practice and equipment inspection. "Arizona Cup is IPC Approved" has just been announced! If your name is not on the "Participants" list, you do not have a shooting assignment. 2007 AAE Arizona Cup in podcast format. There should be a lot to see with approximately 270 archers registered and all shooting and scoring together at one shooting period. Download free “Quicktime” software to be ready to watch the 2007 AAE Arizona Cup coverage. As of today's mail receipts, I have been able to include all of the late registrations that I have received to date. Notice to Canadians: It has taken an average of 8 days to receive mail from Canada. If your name is not on the list, I have not received your registration. Notice to All: If your name is not on the list of Participants, I have not received your registration. We are full, pending receipt of any remaining on- time registrations that may still be in the mail or any cancellations. Check to see if your name is on the list of Participants and in the correct category. If your name is not on the list of Participants, we have not received your registration. If your registration was postmarked after March 19, do not purchase non-refundable travel arrangements until you get confirmation that you have a shooting spot. Shirts have been upgraded to a high quality Antigua® brand shirt in their Desert Dry™ fabric with embroidered tournament logo. Men's style will be a polo style and women's style is a partial zip up tunic. Both in short sleeves. We will also have embroidered hats this year. 8AM a 5PM hora local. First rattlesnake of the season seen today! It is warming up. 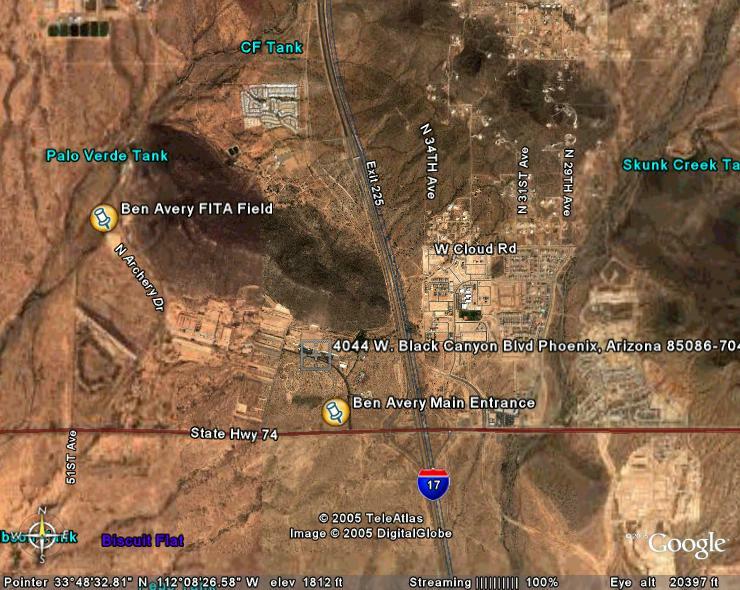 Registration form for the April 7, 2007, one day Star FITA, the 2007 SUNRISE FITA is now available here and will be held on the same field as the AAE Arizona Cup. Separate registration is required. · A team consists of three (3) athletes. · All members of a team must be announced prior to the start of the Qualification Round. Such members must take part in the Qualification Round and cannot be changed.